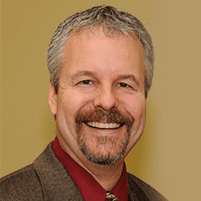 Wayne Bonlie, MD, is a board-certified family practitioner who combines the best of integrative and conventional medicine to offer highly customized holistic medical care to the communities in and around Timonium, Maryland. Dr. Bonlie helps patients improve their overall wellness and lead healthy, active lives. Dr. Bonlie completed his undergraduate degree in physiology at Walla Walla University in College Place, Washington, before earning his medical degree at Loma Linda University in Loma Linda, California. Dr. Bonlie served his internship at the University of Wyoming in Cheyenne, Wyoming, and his residency in family medicine at Methodist Hospitals of Dallas in Texas. Dr. Bonlie developed his interest in integrative medicine and holistic health practices during his residency after reading “Love, Medicine, and Miracles” by Bernie Segal. Dr. Bonlie understands that wellness is more complicated than the symptoms a patient experiences. He offers comprehensive consultations and takes time to get to know his patients. He develops a thorough understanding of their lifestyle and overall well-being, as well as the symptoms that bring them to his office.